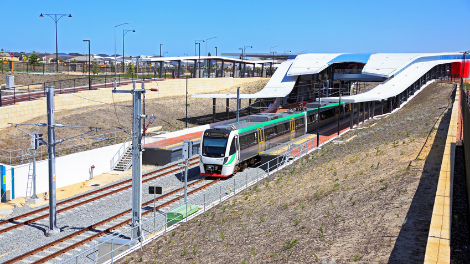 The METRONET Rail Extension will add three stations at Alkimos, Eglinton and Yanchep. Mayor Roberts said the City of Wanneroo was one of Australia’s fastest and largest growing areas. “This $904 million investment in both public transport and an upgraded road network will have a transformational impact on people who live, work and visit the City,” Mayor Roberts said. Major transport projects include the recently announced Mitchell Freeway extension to Romeo Road, Alkimos; dualling of Wanneroo Road to Trian Road, Carabooda; dualling of Marmion Avenue from Butler to Yanchep; and the METRONET Rail Extension. “The extension of the Yanchep rail line together with these significant road upgrades will be a major catalyst to activating the City’s northern corridor, which is the gateway to the wider region,” Mayor Roberts said. “I extend my sincere thanks to the local community who strongly supported the City’s ‘Connect Wanneroo’ campaign.